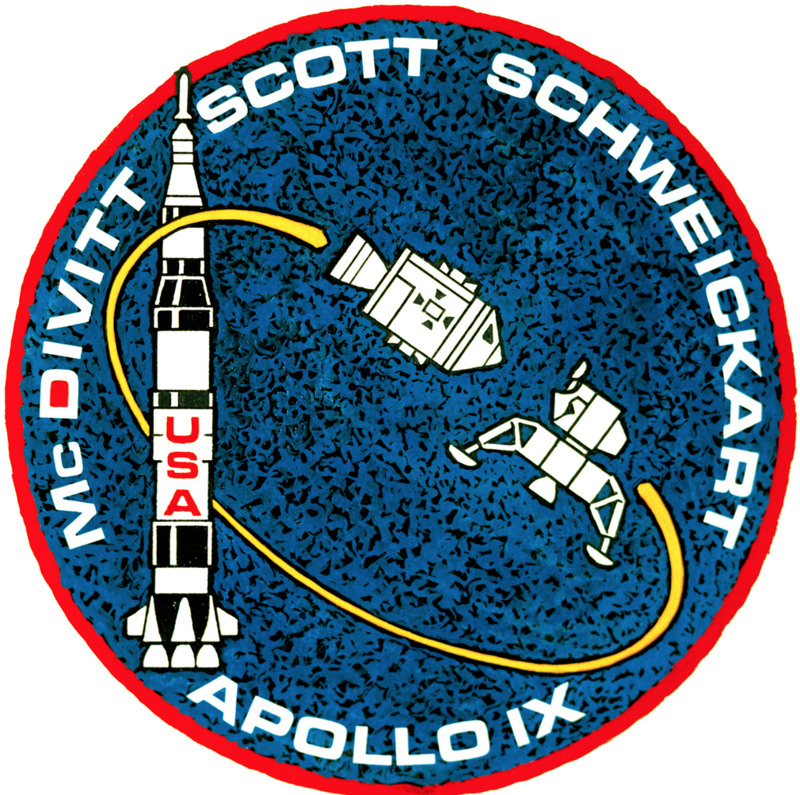 13 April 1970: At 10:07:53 p.m. Eastern Standard Time (mission elapsed time 55:54:53), while Apollo 13 and its crew, James A. Lovell, Jr., John L. Swigert and Fred W. Haise, were approximately 200,000 miles (322,000 kilometers) from Earth enroute to a landing at the Fra Mauro Highlands on The Moon, an internal explosion destroyed the Number 2 oxygen tank¹ in the spacecraft’s Service Module. The Number 1 tank was also damaged. 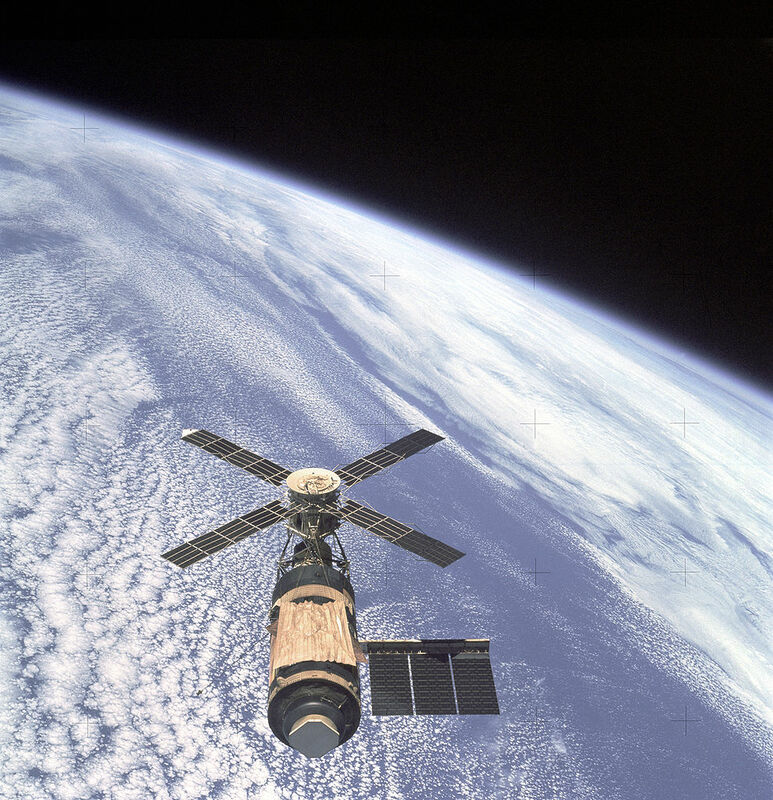 Two of three fuel cells that supplied electrical power to the spacecraft failed. 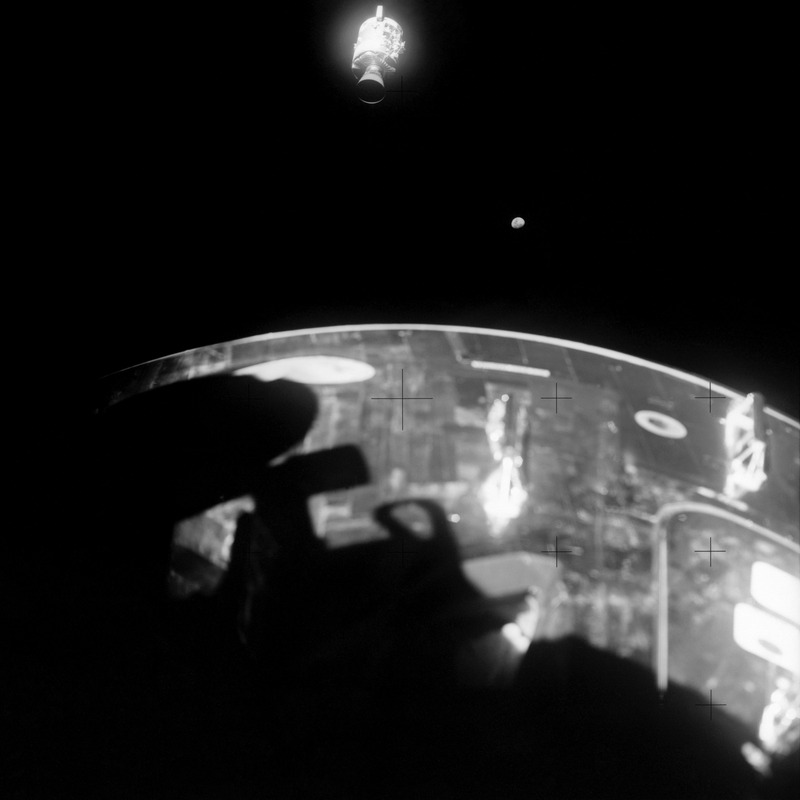 With oxygen supplies depleted and power failing, the lunar landing mission had to be aborted, and the three-man crew evacuated the Command Module and took shelter in the Lunar Module. This was a life-threatening event. 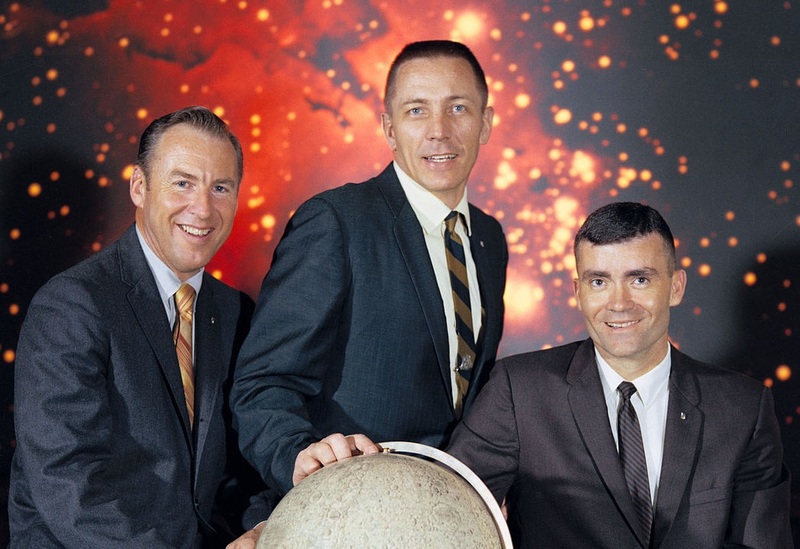 The story of Apollo 13 and its crew and their journey home is well known. The 1995 Ron Howard/Universal Pictures film, “Apollo 13,” takes some artistic license, but is generally accurate and realistic. 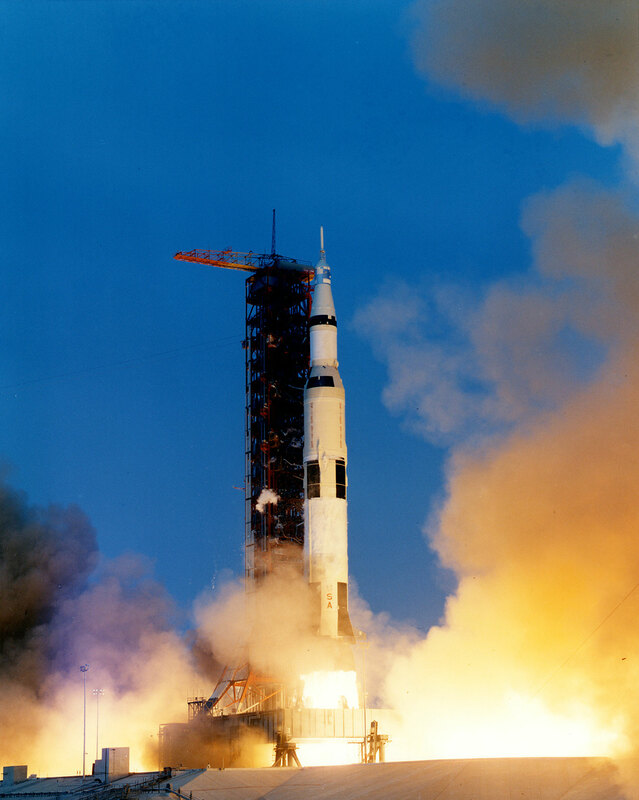 Five years before Apollo 13 was launched, an engineering decision had been made to increase the spacecraft electrical system from 28 volts to 65 volts. This required that every electrical component on the vehicle had to be changed to accommodate the increased power. The after-accident investigation found that the team that designed the cooling fans for the oxygen tanks was never informed of the change. During the actual flight, the wiring inside the tank heated to approximately 1,000 °F. (538 °C. ), and in the pressurized pure oxygen, the insulation caught fire. 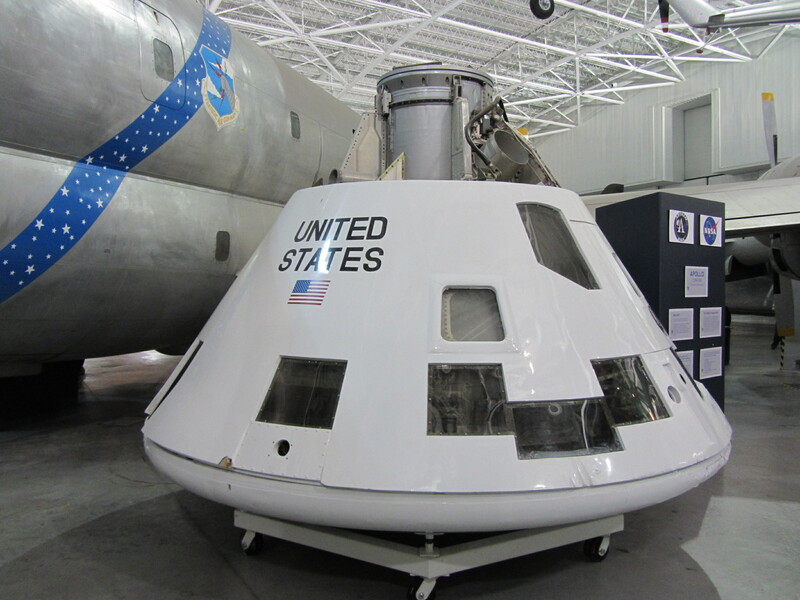 The tank, originally installed on Apollo 10, had been dropped when it was removed for modification. 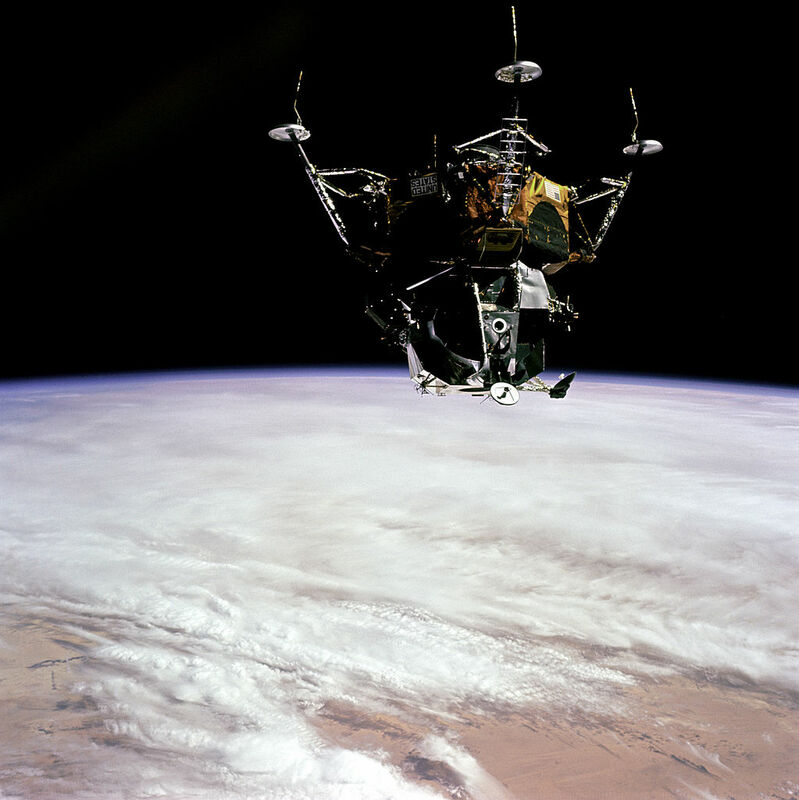 It was repaired and later used on Apollo 13, however, it had been weakened by the damage. The extreme pressure caused by the heat of the burning electrical wiring in the containment caused the tank to rupture. ² The official mission transcript attributes this statement to Jim Lovell, however, in Lovell’s recollection, it was made by Swigert. 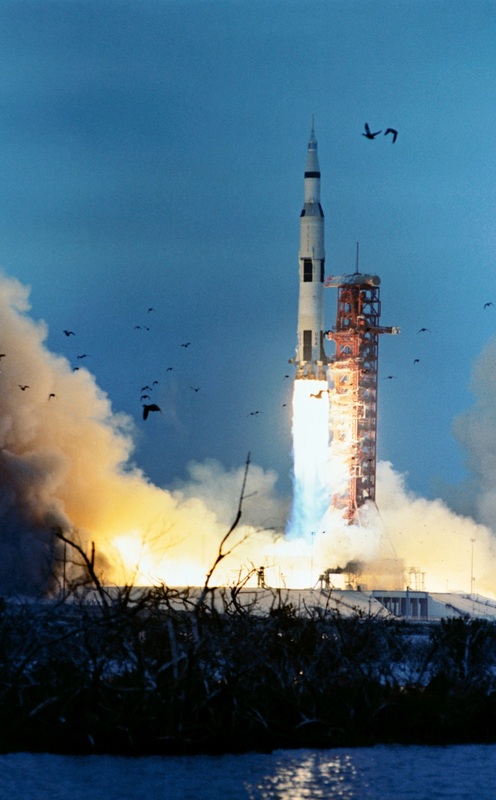 11 April 1970: At 2:13:00 p.m., Eastern Standard Time, Apollo 13 was launched from Launch Complex 39A at the Kennedy Space Center, Cape Canaveral, Florida. 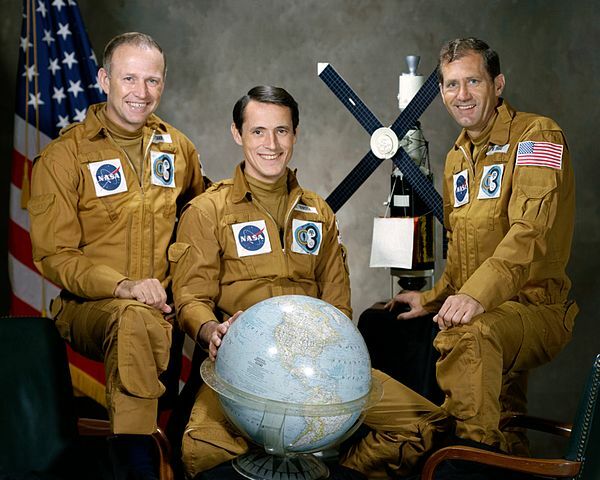 This mission was planned to be the third manned lunar landing. The destination was the Fra Mauro Highlands. In command was Captain James A. Lovell, Jr., United States Navy. 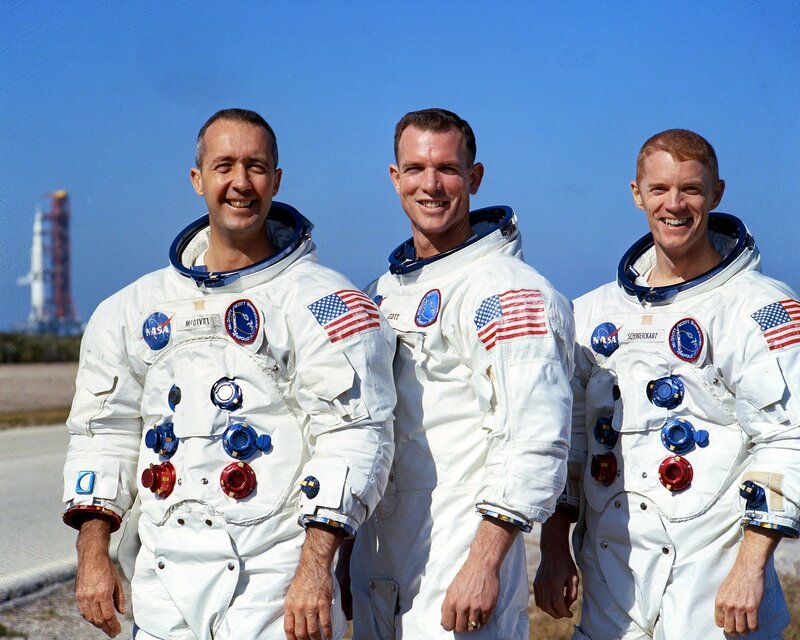 The Command Module Pilot was John L. “Jack” Swigert, Jr. (who was originally scheduled as the backup CSM pilot, but had replaced Lieutenant Commander T. Kenneth Mattingly II, USN, just three days before launch). and the Lunar Module Pilot was Fred W. Haise, Jr., A NASA astronaut (formerly a U.S. Marine Corps and U.S. Air Force fighter pilot, test pilot and instructor). 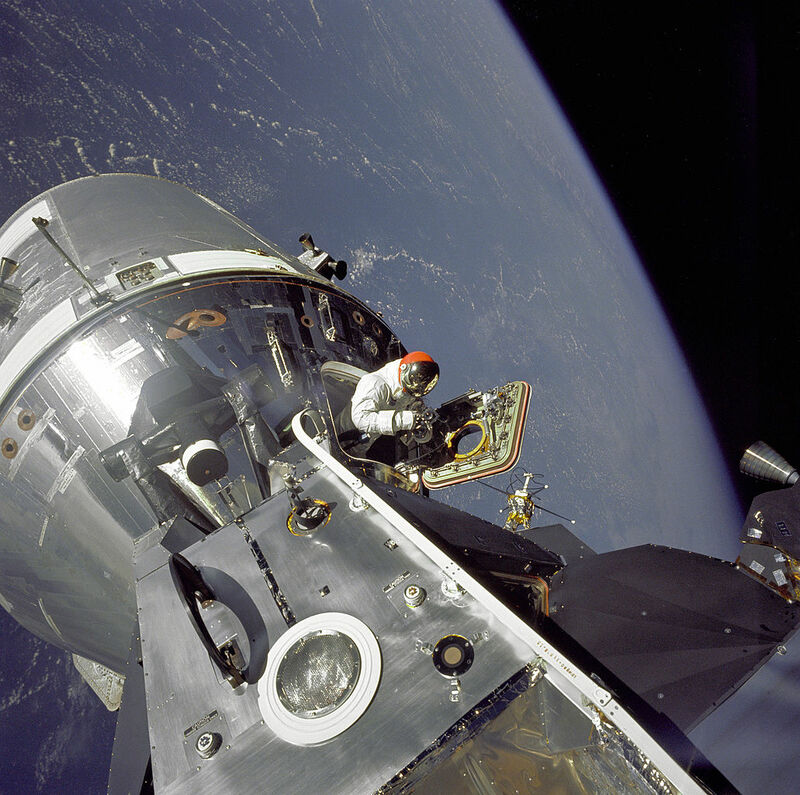 The crew change had been made because it was believed that Ken Mattingly had been exposed to measles and NASA administrators did not want to risk that he might become ill during the flight. The F-1 engines of the S-IC first stage shut down at 2 minutes, 43.6 seconds. After being jettisoned, the first stage continued on a ballistic trajectory and fell into the Atlantic Ocean at 000:09:52.64, 355.3 nautical miles (408.9 statute miles/658.0 kilometers) from the launch site. 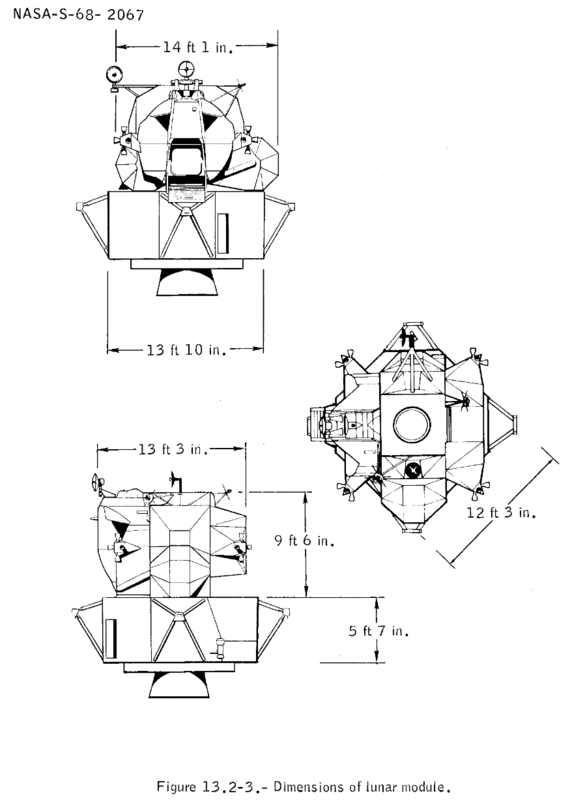 At T + 000:05:30.64, while accelerating toward Earth orbit, the center J-2 engine on the Saturn S-II second stage shut down 2 minutes, 12.36 seconds early, which required the other four engines to increase their burn by 34.53 seconds, and the S-IVB third stage engine had to burn 9 seconds seconds longer than planned to achieve the necessary velocity for orbital insertion. The second stage traveled 2,452.6 nautical miles (2,822.4 statute miles/4,542.2 kilometers) before hitting the Atlantic’s surface at T + 20 minutes, 58.1 seconds. 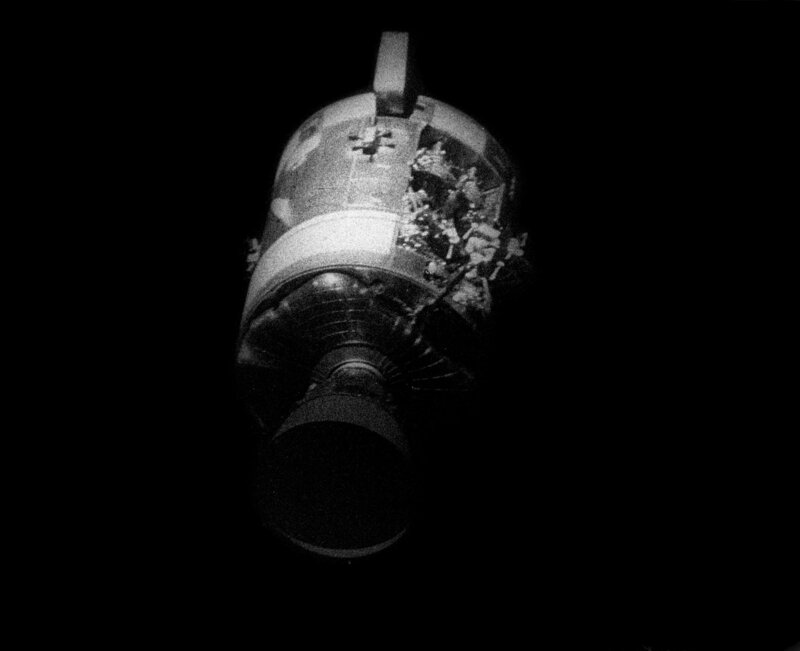 Following the Trans Lunar Injection maneuver, Apollo 13’s S-IVB third stage was intentionally crashed into the lunar surface. The impact took place at 00:09:41 UTC, 15 April. The stage was traveling at 5,600 miles per hour (9,012 kilometers per hour). The energy at impact was equivalent to the explosion 7.7 tons of TNT. 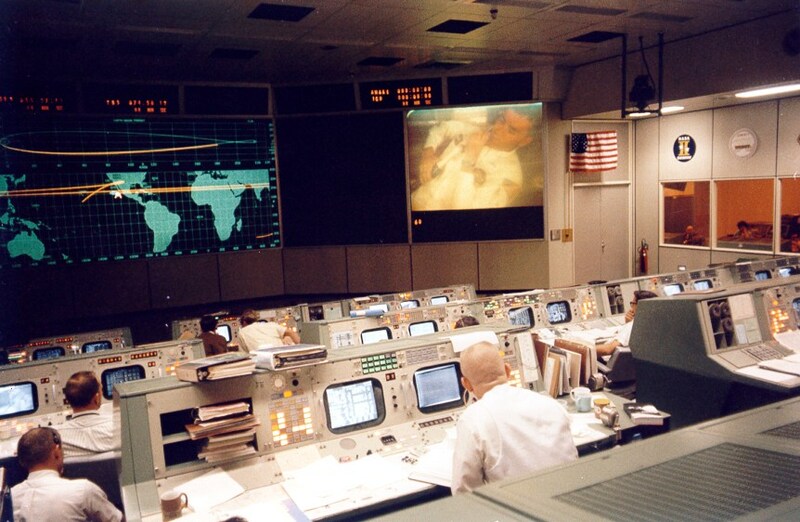 The Apollo 13 mission did not go as planned. 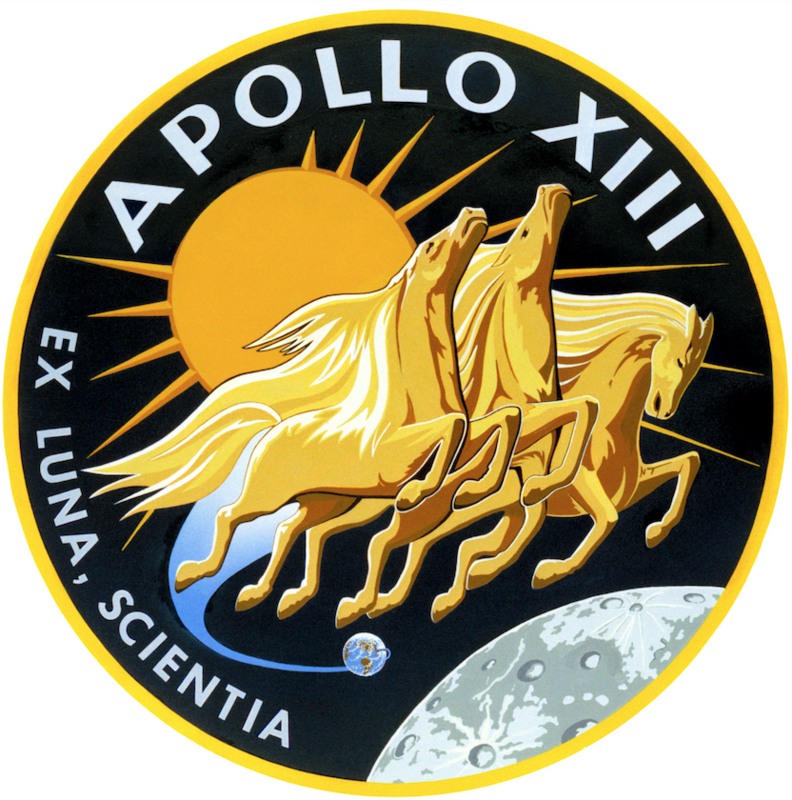 An explosion inside the service module was a very near disaster, and the lunar landing had to be aborted. 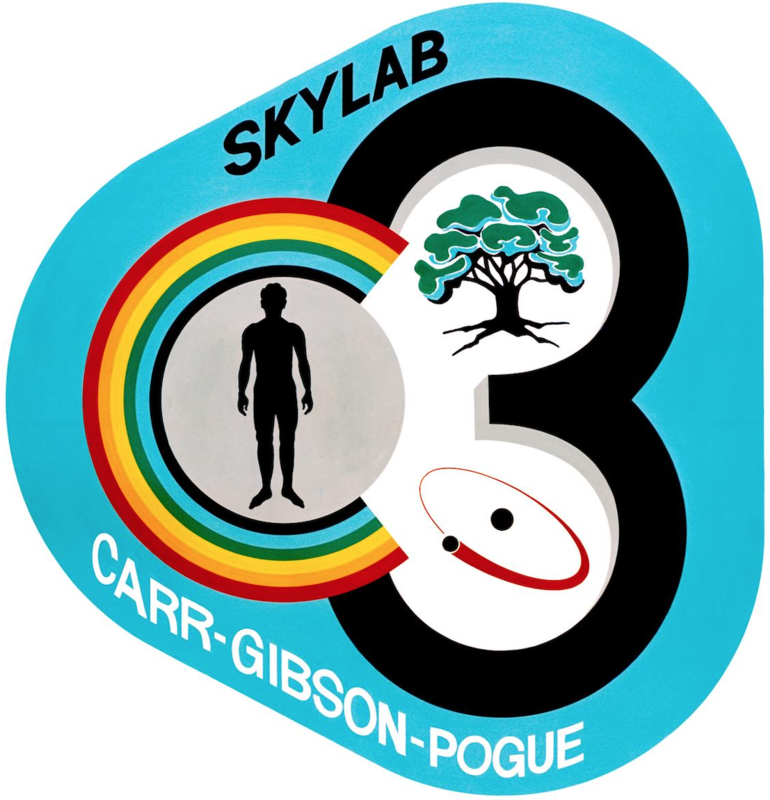 Returning the three astronauts safely to Earth became the primary task. The first stage was designated S-IC. 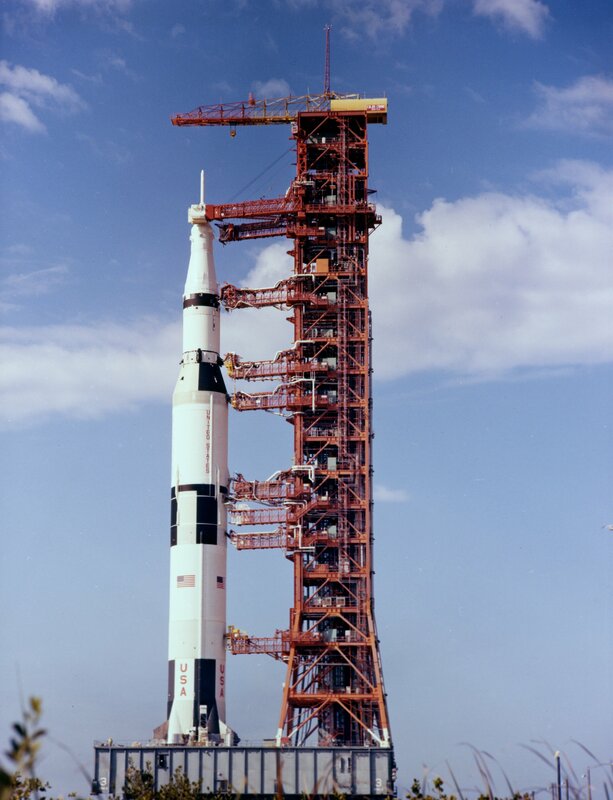 It was designed to lift the entire rocket to an altitude of 220,000 feet (67,056 meters) and accelerate to a speed of more than 5,100 miles per hour (8,280 kilometers per hour). The S-IC stage was built by Boeing at the Michoud Assembly Facility, New Orleans, Louisiana. It was 138 feet (42.062 meters) tall and had an empty weight of 290,000 pounds (131,542 kilograms). Fully fueled with 203,400 gallons (770,000 liters) of RP-1 and 318,065 gallons (1,204,000 liters) of liquid oxygen, the stage weighed 5,100,000 pounds (2,131,322 kilograms). It was propelled by five Rocketdyne F-1 engines, producing 1,522,000 pounds of thrust, each, for a total of 7,610,000 pounds of thrust at Sea Level. 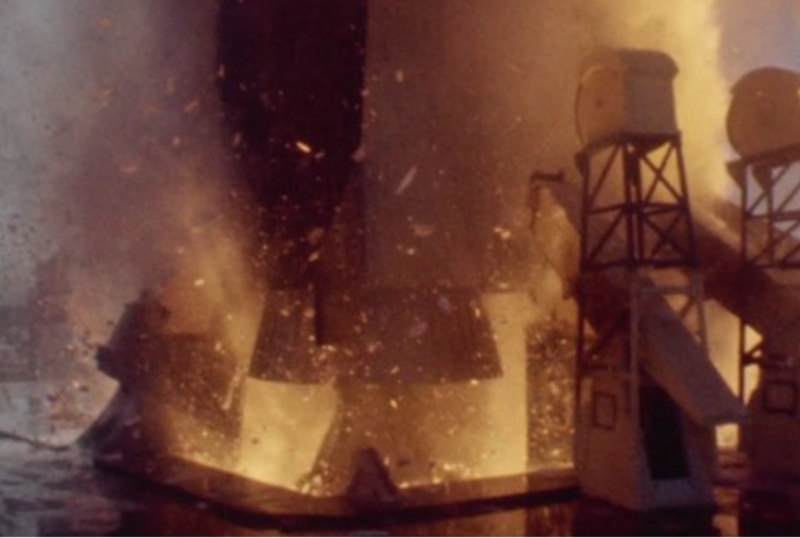 These engines were ignited seven seconds prior to lift off and the outer four burned for 168 seconds. The center engine was shut down after 142 seconds to reduce the rate of acceleration. The F-1 engines were built by the Rocketdyne Division of North American Aviation at Canoga Park, California.